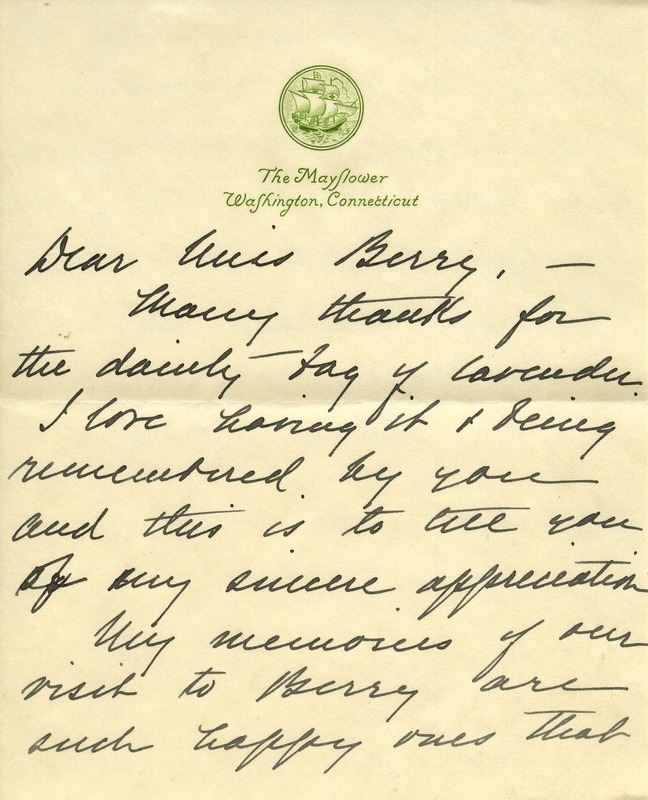 Petrasch writes to thank Berry for the "dainty bag of lavender" Berry sent to her. The letterhead contains the seal of The Mayflower in Washington, Connecticut. 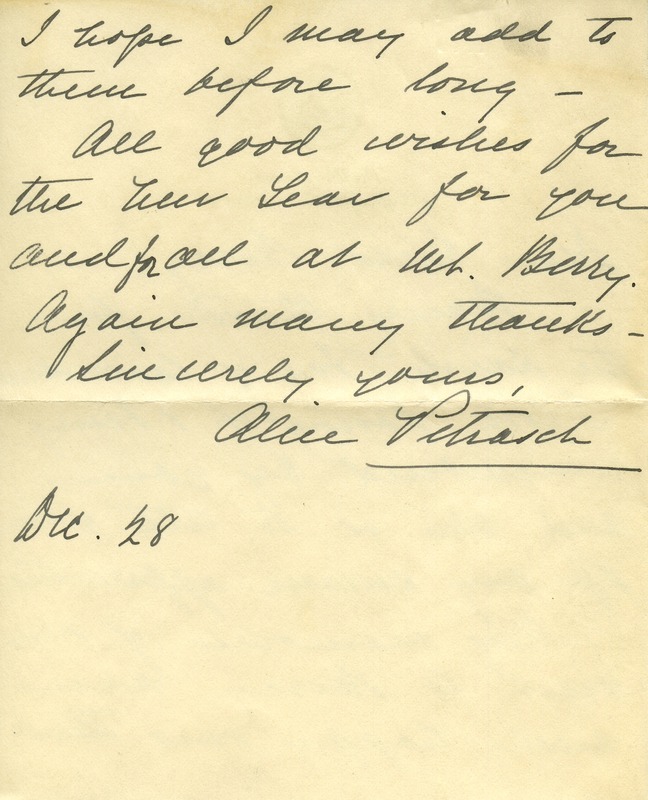 Alice Petrasch, “Letter from Alice Petrasch to Martha Berry.” Martha Berry Digital Archive. Eds. Schlitz, Stephanie A., Meg Ratliff, et al. Mount Berry: Berry College, 2013. accessed April 26, 2019, https://mbda.berry.edu/items/show/11549.